Welcome to FRESHWATER Outboard & Sport! Welcome to our online home. 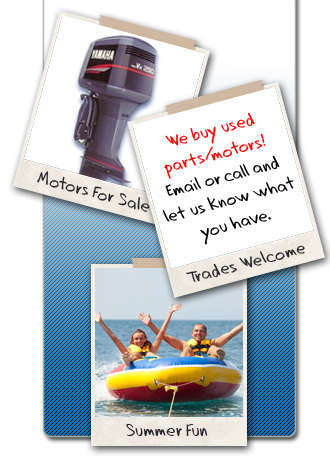 Our family-run business provides you with quality new and used parts, motors and boat & motor packages -- as well as a few other fun toys on occasion. Check out our online inventory. If you don't find what you're looking for, give us a call or drop us an email. Our extended partner network should be able to track down what you need. Thanks for stopping by and come back to visit again soon!